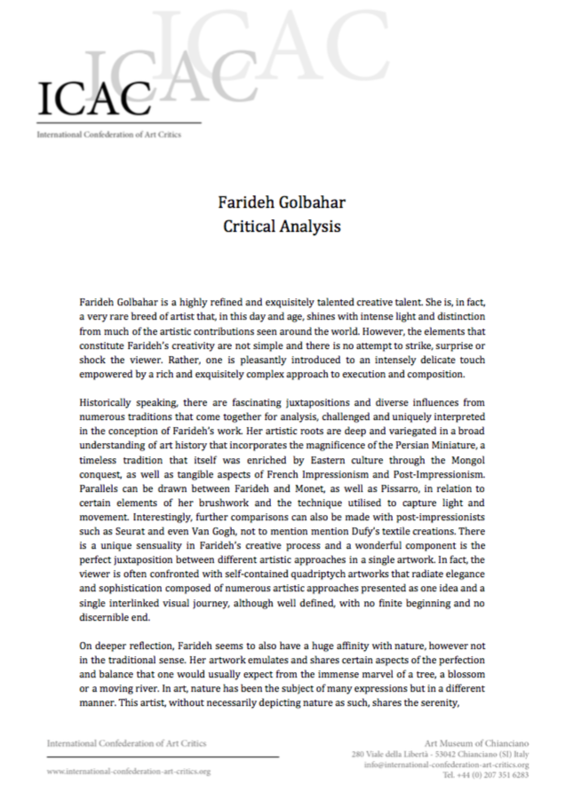 The role of an art critic is as an interpreter and a translator of the wonderful disciplines incorporated in visual art. To explain the painting, the installation, the sculpture to the public at large, to those who do not have the faculties to fully comprehend it. Art Critics have the responsibility to act as the bridge between the viewer and the artist. This role is not only to render the artistic creation more accessible but also to add value and to elevate the artwork and artist to a new status. Furthermore, in all areas of PR, and especially in a field as subjective and arbitrary as art, it is very useful to rely on reputable external experts to give a credible and reliable view. 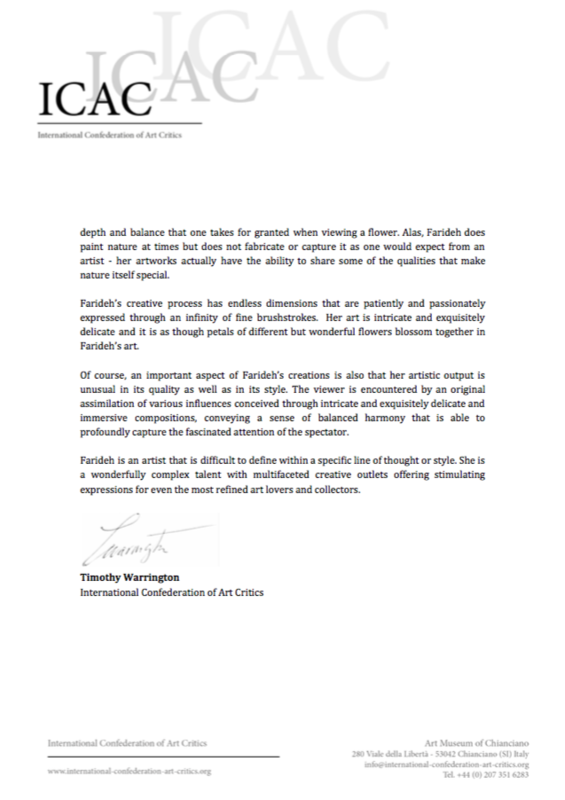 Art critiques are universally recognised as an important step in an artist's career. The role of our organisation is to find the critic who is best able and suited to intellectually convey what an artist has creatively expressed, uplifting the artist to new academic and professional heights. Critiques are usually ready within 3 weeks.